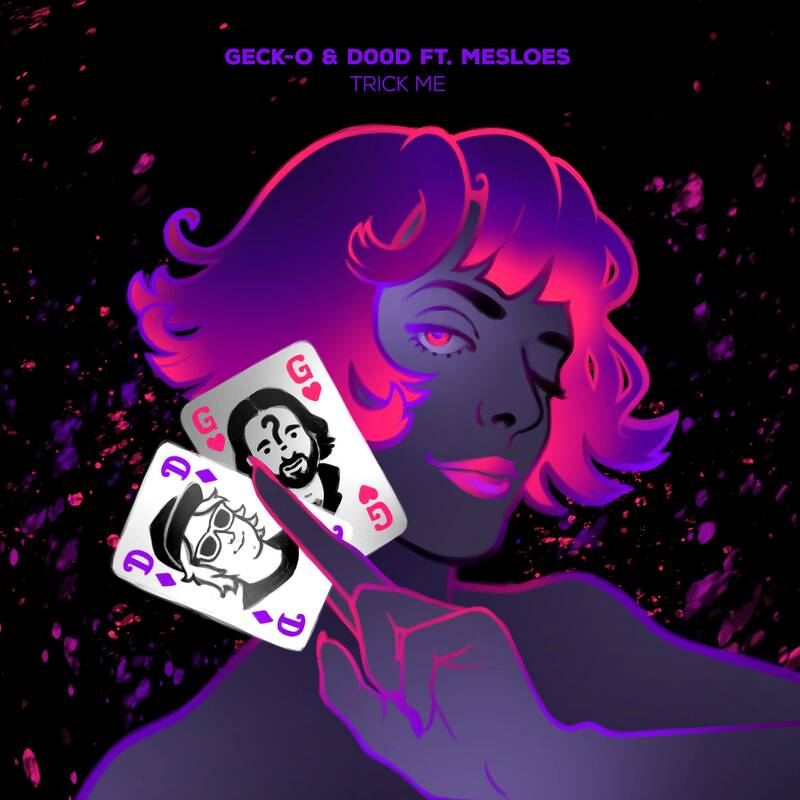 Geck-o & D00d join forces again for an extremely eclectic single, mashing blues with psytrance and distorted kicks with trumpets and organs! Our own trickster Mesloes guides you through the track with her voice, and sings a mesmerizing melody that will stick with you forever... To max out this release, 'Geck-o's Rave Edition' keeps it straight for the dancefloor with a retro touch, and the 'Chaos Collision Remix' showcases D00d aka Wavolizer's new drum and bass project with an insane and immersive reinterpretation. Finally, to make the original that bit easier to mix with, a 'DJ Version' is also included. The fantastic cover art is by Mesloes as well! Wonderful. Wat een heerlijke mengelmoes van stijlen, heel tof gedaan! De Rave Edition vind ik eigenlijk een beetje saai het origineel heeft meer swing.